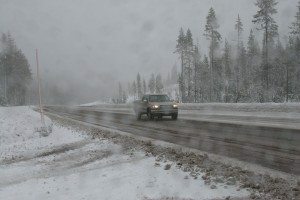 If you’re one of those folks without power, heat or warmth because of the recent snow storms, you probably know that you need a cooking tool that can bake, boil, fry and saute. And it should be able to function with a variety of heat sources, since you don’t know when the electricity might come back on. A Dutch oven can be an indispensable part of your survival kit when the weather turns bad and you're stranded at home. My nomination for this wonder implement has been around for hundreds of years. It’s easy to find, cheap and effective. Go get a cast iron or aluminum Dutch oven. This cooking tool has a proven track record, and it can use virtually any heat source. Hurricane Katrina was due to hit land in a few hours, and my relatives in Mississippi, about 150 miles north of New Orleans, weren’t sure what was going to happen. I overheard my wife talking on the phone to her sister, Patti, of Clinton, Mississippi. In the middle of the hurricane preparation discussion, they started talking about recipes and what to cook, using a cast iron Dutch oven! Firepans are a critical part of your Dutch oven survival kit. 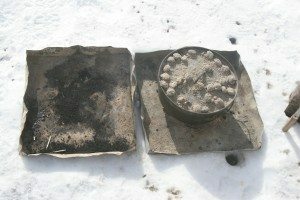 They allow you to cook on snow or damp ground without putting out the coals. Today, a camp oven is on my short list of tools for my disaster survival kit. And if you’re one of the people stranded at home because of the record snows, or are anticipating some sort of disaster, you need a Dutch oven, too. A Dutch oven can be used to boil water, make a stew, bake bread, and cook virtually anything that can be fitted inside. And if you were forced to evacuate an area, a camp and/or Dutch oven is compact and light enough to be easily transported. My wife’s advice to her sister was to go to Walmart, get at least 50 pounds of charcoal and three of the round, 14-inch diameter metal pet food dishes. Put the oven, these items and some basic cooking utensils in a square milk crate for storage. 1 – 12-inch Lodge brand shallow cast iron oven: I like Lodge cast iron best, because it is made in America and has a proven quality record, but that’s just personal preference. Other experienced Dutch oven cooks may use different brands, such as Camp Chef, so chose whatever you like. You’ll get what you pay for. A cheap, poorly-made oven won’t work particularly well, and you’ll probably end up replacing it with a quality piece. Sometimes, I take an aluminum oven on outdoor excursions instead of cast iron to save weight. 3 – shallow metal pans with lipped rims: These are critical, and common dog food pans work very well. Put one pan underneath the oven to protect the coals from dampness and help regulate heat; and another pan is used to store coals. The third is a spare that is used to cover the oven and protect it from rain or snow while cooking. Source of heat: Charcoal is easy to use, and generally, in good supply. But when the charcoal runs out, you can use firewood, driftwood, coal, wood scraps from a dumpster etc. Shipping pallets, generally found about anywhere, burn quite well. If the pallets are made of hardwood, which many are, then you’ll get great coals! You can also prepare for disaster by integrating an outside heat source into your normal cooking routine. My propane fish cooker stays operational year-round on my patio, because it is used constantly. Even when there is snow on the ground, we still go outside to fry bacon or cook fish. This Lodge camp oven and propane fish cooker will work very well for cooking and boiling water, even when the power is out. The lid lifter, trivet, “survival knife,” spatula and spoon all fit inside the oven. All these items fit into a nylon commercial Dutch oven holder. Another great way to carry everything is in a square milk crate. Put the metal pans on the bottom, and the oven won’t tip over. The loaded crate stacks nicely. We make in the oven and a more rustic loaf in my cob oven. Love ours too! Cornbread, stews, pinto beans…yum. My husband has an incredible baked beans recipe. Now I need to start making desserts. My family's insisting on a Dutch oven peach cobbler next time we go camping. Dutch ovens are awesome. My friend cooks a mean peach cobbler which is the best I've ever tasted. I agree. The best cobbler I've ever tasted was made in a Dutch oven. Mix together 1 box cake mix, 1 can pie filling, and about half a bottle of 7-Up or Sprite. Spread the batter evenly in a lined dutch oven, and cook over medium coals for 20 to 40 minutes checking occasionally until done. Cast iron is addictive and Made In the USA Lodge manufacturing is excellent. The Lodge Logic pre-seasoned line has made it even easier to get into cast iron cooking. 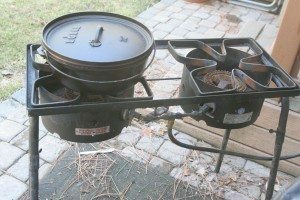 I have several of Lodge's camp Dutch Ovens (smallest being the 1 quart), skillets, wok, biscuit pan, their Dutch Oven Table, etc. — for camping and home use. Have bought mine mostly on Amazon — always with their Free Super Saver Shipping. Survival Mom — for boiling water and rudimentary cooking with minimal fuel (from twigs to dung), have you looked at Thermette kettles, Kelly Kettles and Eydon kettles? Old, simple and efficient technology. I carry a Kelly in my SUV and have a Thermette at home. Googling will pull up websites for all three manufacturers. Interesting fodder for your website, if you haven't already written on the subject. I came to your website recently, via the Newsweek article, and keep coming back. Am presently waiting on delivery of the dehydrator you inspired me to buy….. Thanks for those recommendations, Dagny. I've been dabbling in solar cooking, cooking over a rocket stove, and will add your suggestions to my To Do list! You didn't mention wheather the dutch ovens were actually used in Katrina and if so for how long. The Dutch ovens were not used , because the storm didn't hit the Clinton area as hard as imagined. The electricty was on within a day or so. But my sister-in-law was ready, should there have been an extended power outage! Dang it! There I go again, readin' one of your articles and buyin' more stuff. LOL. Thanks. Can't wait to get my new Logde 10qt deep. Dutch ovens saved our hide a few years ago when an ice storm hit Central Iowa. We were without power for 5 days. My Dutch Oven stack does a lot more than just sit there lookin' pretty! Want to make dehydrated meals in jars for Dutch oven and cast iron skillet cooking. Looking for recipes that don’t take much ingredients. Also cornbread recipe I can put in a jar and just add water later to cook in Dutch oven or cast iron. Can anyone help? Also can I use cookie mix in a jar type recipe in Dutch oven and if so how?